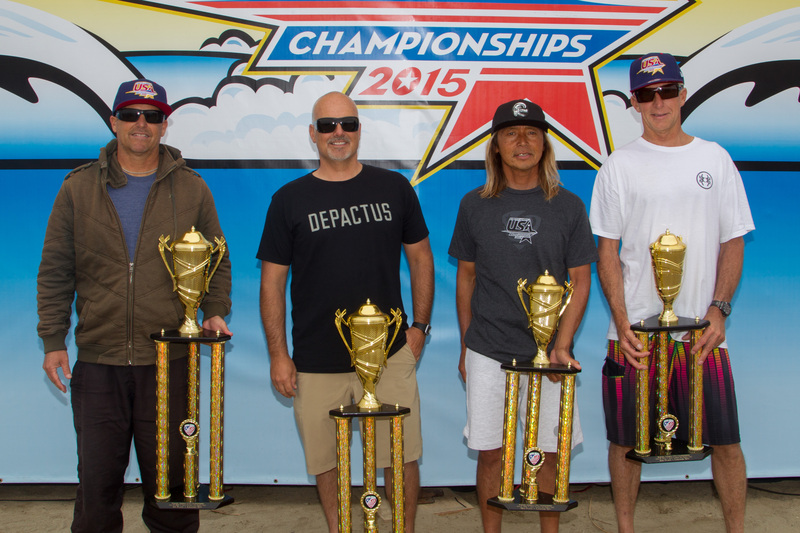 The 2015 Surfing America USA Championships brought the best surfers and stand-up paddlers from across the country for eight days of competition. 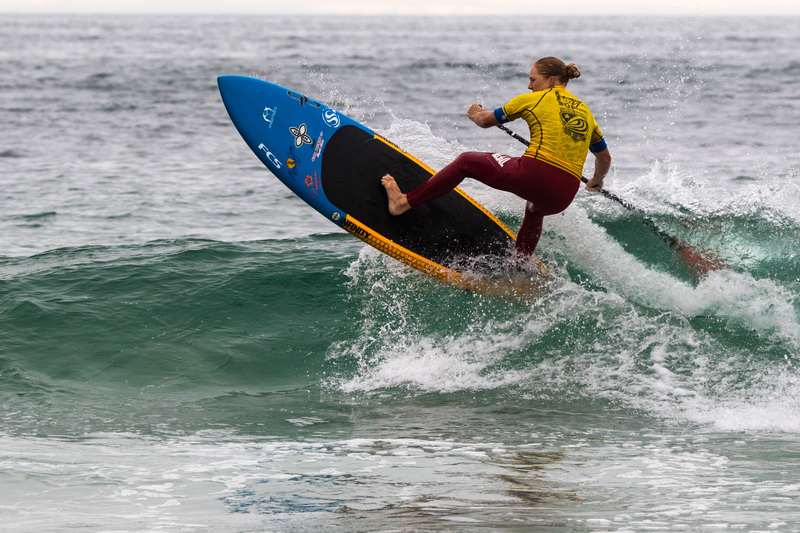 The event began in Cardiff-by-the-Sea at Seaside Reef, June 12 through 14 with SUP, longboard, adaptive divisions and preliminary rounds of adult shortboard. The contest continued, June 16 through 20 at San Onofre State Park, Lower Trestles with finals in all shortboard divisions. Candice Appleby became the Surfing America Open Women SUP national champ with a convincing win at Cardiff. 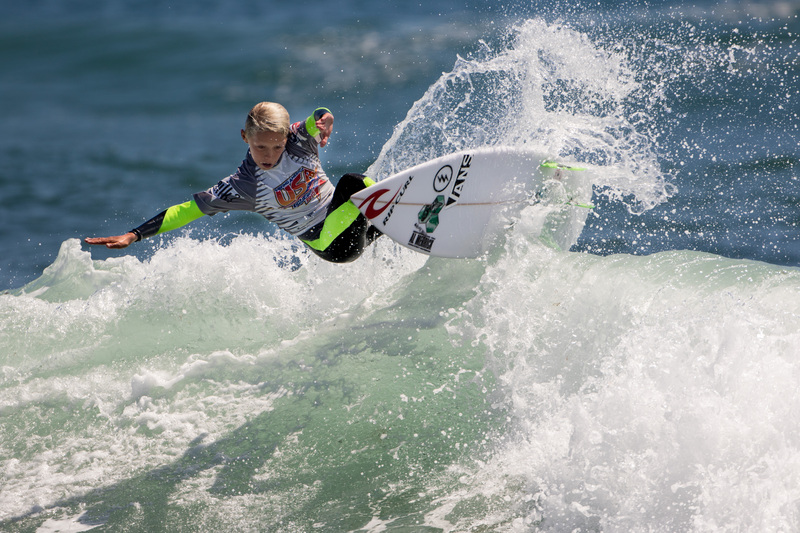 At Lowers, Jett Schilling claimed the Boys U12 shortboard title and Griffin Colapinto was crowned national champion in the premier Boys U18 shortboard division, a spot that also earned him the coveted Governor’s Cup Trophy. Houshmand, Kade Matson, Jett Schilling, Malia Osterkamp, Samantha Sibley and Kirra Pinkerton. 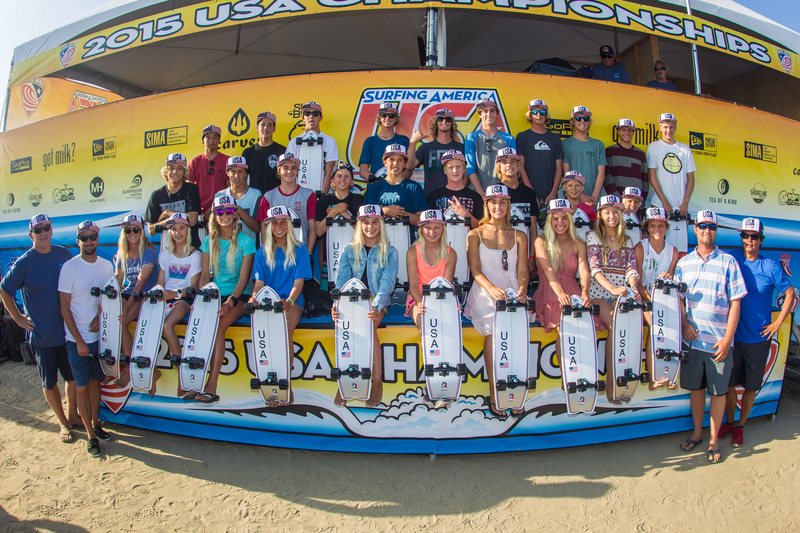 For more photos and highlights, visit the Surfing America Facebook page. BOYS U18: 1. Griffin Colapinto, San Clemente; 2. Jake Marshall, Encinitas; 3. Kalani David, Hawaii; 4. Luke Marks, Florida. GIRLS U18: 1. Tia Blanco; Oceanside; 2. Brisa Hennessy, Hawaii; 3. Kahanu Delovio, Hawaii; 4. Mahina Maeda, Hawaii. BOYS U16: 1. John Mel, Santa Cruz; 2. Luke Gordon, South Carolina; 3. Stevie Pittman, North Carolina; 4. Eithan Osborne, Ventura. GIRLS U16: 1. Brisa Hennessy, Hawaii; 2. Caroline Marks, Florida; 3. Meah Collins, Costa Mesa; 4. Summer Macedo, Hawaii. BOYS U14: 1. Eli Hanneman, Hawaii; 2. Griffin Foy, Huntington Beach; 3. Ocean Macedo, Hawaii; 4. Noah Hill, Venice. GIRLS U14: 1. Caroline Marks, Florida; 2. Alyssa Spencer, Carlsbad; 3. Gabriela Bryan, Hawaii; 4. Tiare Thompson, La Jolla. BOYS U12: 1. Jett Schilling, San Clemente; 2. Taj Lindblad, San Clemente; 3. Levi Slawson, Encinitas; 4. Robert Grilho, Hawaii. GIRLS U12: 1. Alyssa Spencer, Carlsbad; 2. Leila Riccobuano, Hawaii; 3. Gabriella Knudson, Hawaii; 4. Luana Silva, Hawaii. WOMEN 18+: 1. Samantha Lamirand, Cardiff; 2. Kayla Durden; Florida; 3. Hayley Watson, Florida; 4. Salome Aberger, Florida. GIRLS LONGBOARD U18: 1. Francesca Seely, Malibu; 2. Mason Schremmer, Hawaii; 3. Ocean Tsutsui, San Clemente; 4. Kelta O’Rourke, Hawaii. JUNIOR LONBOARD: 1. Trevor Anderberg, Encinitas; 2. Austin Hollingshead, Florida; 3. Ryan Conklin, Florida; 4. Brycen Jernigan, North Carolina. WOMEN LONBOARD 18+: 1. Leldon McClary, 2. Shelby Schweitzer; 3. Sandra Goodwin; 4. Maddie Lomonaco. MEN LONGBOARD 18+: 1. Nick Anderberg; 2. Fisher Grant; 3. Zach Meyers; 4. Kevin Dewald. SENIOR MEN LONGBOARD 40+: 1. Dave Schaefer; 2. Gregory Mcewan; 3. James Walker; 4. Andre Derizans. ADAPTIVE SEATED/PRONE: 1. Chris Oberle; 2. Jeff Munson; 3. Charles Webb; 4. Devin Eshelman; 5. Alana Nichols; 6. Spike Kane. ADAPTIVE STANDING: 1. Rodney Roller; 2. Tyler Dixon; 3. Ryan Gambrell. GIRLS SUP U18: 1. Lara Claydon; 2. Mason Schremmer; 3. Lexi Alston; 4. Christine Shoemaker. BOYS SUP U18: 1. Noa Hopper; 2. Dylan Schmarr; 3. Brycen Jernigan; 4. Haakon Hoyer-Nielsen. MEN/WOMEN SUP 40+: 1. Thomas O’Brien; 2. Dave Daum; 3. Chris Kilika Mukai; 4. Tyler Callaway. OPEN WOMEN SUP: 1. Candice Appleby; 2. Mason Schremmer; 3. Lara Claydon; 4. Christine Shoemaker. OPEN MEN SUP: 1. Fisher Grant; 2. Dane McBride; 3. Anthony Maltese; 4. Daniel Hughes. BOYS TECHNICAL SUP RACE 2.5K: 1. Gavin Mencinsky; 2. Haakon Hoyer-Nielsen; 3. Malachai Cairns; 4. Trevor Mencinsky. GIRLS TECHNICAL SUP RACE 2.5K: 1. Jade Howson (coed winner overall).